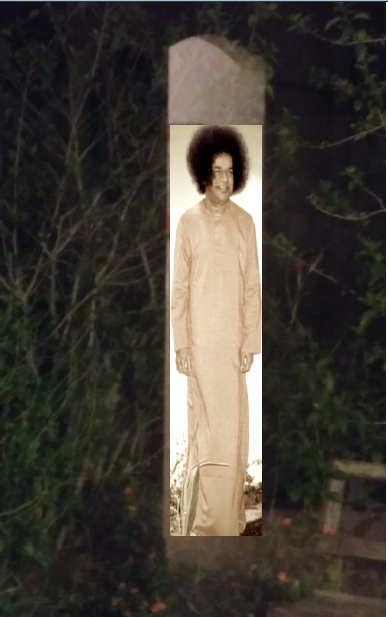 Our beloved Swami visited me in a dream early this morning. I have not been feeling well since October. I was in a beautiful Krishna garden taking pictures of a jhoola swing. I noticed a couple coming towards me. They were long time older Sai devotees. I couldn't exactly identify them, but they were Caucasian, the woman had dark hair and reminded me of Sharon Sandweiss, but I can't say for sure. The couple smiled and sat on the swing. Swami came towards us and sat on the swing between them, For some odd reason they all started talking about a trip I was going on this June, 2019. Then as they were swinging on the jhoola, Swami looked at me and said with a very strong Indian accent, "Why don't you feelm (film) it. I grabbed my phone excitedly, then someone got off the swing, and I had to scramble around to make sure everyone was in place. I finally was able to take the picture - click, click. Our dearest Swami hears and knows everything -- our every wish, hope, sob, pain, suffering, joy. He is ever with us, protecting, guiding, and playing His lovely leelas.